Waking up to wave sound of Indian Ocean. All the bungalows are in different sizes in our tropical garden. 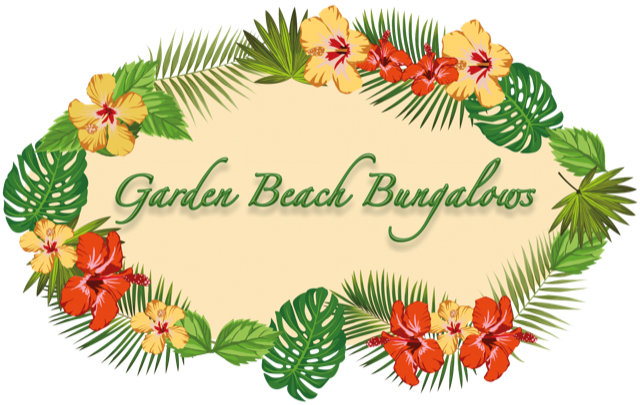 Some has garden view and some are situated right on the beach. In all rooms, there are king size beds, in addition to family rooms there are single beds with mosquito nets. Most of the bungalows have private shower, hot water, wardrobe, hanger, fan, blanket, coffee & tea set. Windows are covered with mosquito nets. In rooms, there aren’t wi&fi, fridge or glass on windows.